John Beebe: We left off, last time, talking about the coach who kissed the young woman on the University of Connecticut basketball team after she had scored, sensationally, with a distant shot. I had argued that the kiss was an expression of his auxiliary function, which I had read as introverted feeling (Fi) in a man whose dominant function, like that of his team, was extraverted sensation (Se). As you know, I’ve found that each function-attitude carries an archetypal energy that correlates to that function’s position of preference in a given typology. By identifying the kind of energy associated with the most obvious functions, we can discern which is the dominant (Hero/Heroine) and which is the auxiliary (Good Parent) and infer the rest of that person or group’s typological ordering of function preferences. My premise here is that we use our auxiliary function to take care of others and our dominant function to assert ourselves. It’s important to understanding the eight-function model, and how members of an organization relate to each other, to realize that neither of these ways of relating to others requires someone to use an extraverted function. You can assert yourself in your organization with an introverted function. You can take care of others in the organization with an introverted function. You’re just not likely to do both these things with an introverted function, any more than one would do both with an extraverted function. Our alternation of attitudes between the dominant and auxiliary takes care of that. So I believe that the coach, when kissing that woman player, was rewarding her with a display of his introverted feeling. The kiss carried the message: ‘I’m going to tell you, the only way I know how, how much I like what you just did.’ His way of taking care of her was to let her know that her coach felt good about her performance. But what does it say about the group mindset of the team that he chose this way of telling her, which was an extraverted sensation way? The kiss itself is still an expression of his introverted feeling, because it’s about what he feels. It moves into ‘I’m going to kiss you, whether you really want to be kissed or not, because it’s the best way I can tell you how much I like watching you play so well.’ If extraverted feeling (Fe) had been his auxiliary, he would most likely have shown more respect for the team member’s possible need not to be touched quite so intimately by him. Certainly, he would have cared more about how it might have looked to others. But, as her coach, he chose to emphasize his introverted feeling pleasure by going just a little bit far. I’m guessing she accepted the kiss without question. Am I right? PTD: Yes, that’s how I saw it. 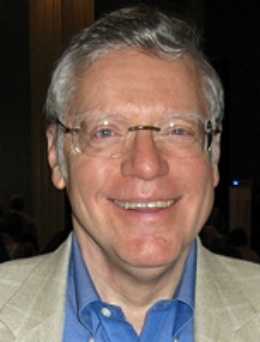 JB: I would venture to say, then, that the Hero archetype in that particular team’s group mindset expresses itself through extraordinary feats of extraverted sensation, which in this transaction within the group starts with the player’s making that extraordinary long shot and ends with the coach’s extraordinary gesture, the kiss. Do you agree with me in conceiving both of those actions as extraverted sensation feats? PTD: I would think so. JB: For me, a feat is an act I would assign to the Hero archetype, and thus to the dominant (or superior) function. So the coach is doing something heroic, assertive beyond the call of coaching, when he kisses his player. And there are so many ways that gesture could be misunderstood. Even if it’s not sexual harassment, it’s still potentially sexist for a man to kiss a woman when she does something special. The team did not, I imagine, misinterpret it because as I read these clues to the group’s mind, extraverted sensation is a natural language within this particular group. The coach was moving within the boundaries of the group, which I suspect has in its group mind, dominant extraverted sensation and auxiliary introverted feeling, the very functions the coach was deploying. His gesture was congruent, in other words, with the group culture, and that is why he could pull it off so successfully, even though the same gesture might not have worked so well in another culture. I would describe the UConn team as a group in which people know how they feel about each other when that feeling is expressed in concrete, visible sensate terms. The coach is saying to his player, with his kiss in front of their audience, ‘I’m going to have an impact.’ This is not unlike the way a great entertainer will insist on having an impact on his or her audience, which is made to join in a team effort while being entertained. What comes to my mind is a recorded performance of Frank Sinatra singing in Australia in 1959.1 Sinatra has been called ‘The Voice’ because his crooning had such an amazing impact on people. But toward the end of the recording of his concert that night, Sinatra suddenly stops singing in his usual caressing manner and starts making some very unexpected screeching sounds. Then he explains, to the person who was apparently the target of this unsoothing intervention: “Nobody sleeps in this act, Freddie!” Somebody, apparently, had drowsed off! Sinatra’s way of handling this unconscious rudeness was of course shocking behavior on the part of an entertainer toward an audience—far more risky than the male coach’s kissing his woman player. Remarkably, though, he did not disappoint the people who had stayed with him up to that point that night: he goes on to give one of his best renditions of the song he had interrupted, “All the Way.” Sinatra was simply not going to give a performance that didn’t impact every member of his audience. His extraverted sensation was evidently sure enough of its ground that it didn’t shrink from calling attention to the way an artist feels when giving such a concert. He clearly regarded what he was doing as a team effort, a partnership with the audience, and he was asserting an introverted feeling value, that the audience had to bear its share of the responsibility for the performance. PTD: Even to the point of demanding their attention. JB: The medium of the demand was extraverted sensation, but what it required the audience to attend to was the introverted feeling of the performer, and included in that, respect for the song that was being sung. 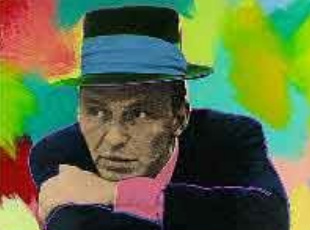 In Sinatra’s case, that level of respecting what he was delivering had become part of his art, which had earned him the nickname ‘Chairman of the Board.’ Anyone who ever listened to him knew that he was at his very best only when we were listening as carefully as he was singing. I need to add that there’s something about the combination of extraverted sensation and introverted feeling that’s pleasing to most people. We could contrast the UConn women’s basketball team with the San Francisco Giants, who won the World Series last fall. What I liked about the Giants was their introverted sensation (Si): the way that function became a language the members of that team could read in each other. 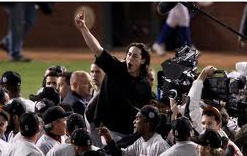 There was great introverted beauty, for instance, in the way gangly, seemingly awkward Tim Lincecum was willing to contort his body to make sure he could see, like a periscope, what every opposing player on any base was doing before he let go of a pitch. The other team couldn’t steal a base when he was on the mound. It’s harder to define what the Giants’ auxiliary function was. With that team, I sensed auxiliary extraverted feeling (Fe). They were so related to each other. That came off as a bit ‘feminine’ to many viewers. PTD: Is the auxiliary function often responsible for how a team is perceived by others? JB: I think so. And what we feel about a group of people has a lot to do with what we think their auxiliary should be. In extraverted thinking (Te) America, we are happy to accept an introverted sensation baseball team, but we expect it to have an auxiliary extraverted thinking. So even though Americans respected the San Francisco team, they didn’t love it as a nation, and I think that’s because the team had auxiliary extraverted feeling. The San Francisco ethos that extends extraverted feeling affirmation to every peculiar haircut or beard, met with ‘Ugh!’ from the American Anima, which is characterized by an introverted feeling. Our Anima had a different idea of what’s appropriate on the head of man who is a baseball player. PTD: Isn’t there also the possibility that the attempt might fall really flat? JB: Usually does when an ISTJ makes it. But that drag show sounded like it worked for my uncle, who seems to have had a healthy Trickster, even though he kept it in reserve. One sign of a well enough integrated Trickster is that its effects won’t fall flat. A good enough Trickster performance will be something people remember for decades to come, as I think they did that one show. PTD: John, the other thing that came up for me—you were starting to talk about your great uncle’s introverted sensation/extraverted thinking (ISTJ) culture that was limited by the unavailability of its extraverted feeling. Was the issue really a strong need to bond, but almost the inability to connect to do so? JB: Yes, because the ability to affirm each other in a simple human way, the ability to say ‘I’m OK, you’re OK’ is so often totally absent in such a team; you can barely get past the enormous reserve created by the drive to do things efficiently, accurately, and well. Clumsy extraverted feeling is the rule in many ISTJ teams, which can evince the kind of pious introverted feeling we sometimes see in a ‘company boy or girl,’ the name given to the Puer/Puella role that some younger members of teams will play. I’d argue that he was manipulating his star with his silence, using not only his Puer introverted feeling, which tended with people he liked to follow the introverted feeling rule once enunciated by the German poet Rilke, “I love you but of course it’s none of your business;” but also, and even more deliberately, withholding his extraverted feeling from his actress in a tricksterish way. He knew that Doris Day was looking for extraverted feeling validation and he wasn’t going to give it to her, because he wanted the mother she was playing to be uncertain as to whether her extraverted feeling around her loss would have any effect at all with the people who’d taken her son from her. He wanted her to feel what might be called ‘the silence of God’ at such times. Now what you need to know about Hitchcock is that he was an amazing Trickster, he had tremendous trickster capacities. And one of the things that makes Doris Day’s performance look so good is that the woman on screen is playing a woman who’s getting more and more hysterical as no one seems to get just how upsetting this is to her. At the same time, she’s getting more and more insecure about her extraverted feeling (maybe it doesn’t apply, and will even be counterproductive to getting her son back). Doris Day’s insecurity at Hitchcock’s withholding any affirmation of her performance is what he captures on camera. 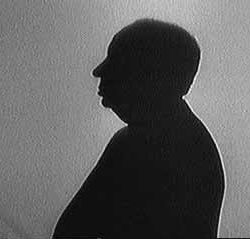 In terms of the team effort he and she were part of, a Hitchcock film, there was a tacit understanding that Hitchcock was in charge of getting the effects he wanted; and so even a blatant manipulation like this was seen to work to everyone’s advantage, once the filming got far enough underway that people could begin to reflect on what he had actually done for Doris Day by directing her in this way. It went with his extraverted thinking planning for the best possible film. PTD: OK. John, to focus back on less shadowy aspects of the team type for a moment, which you are doing when you talk about Hitchcock’s extraverted thinking auxiliary; when we talk about the auxiliary function as being used in caring for others, are we talking about it in terms of caring for those outside the team (in this case the moviegoers) or are we talking about internally? JB: Well, internally. 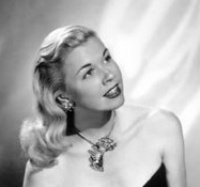 I think Doris Day stayed on the team because she could feel that despite the lack of extraverted feeling, Hitchcock seemed to know where he was going and what he wanted—I’d say at an extraverted thinking level, the level of planning. She was enough of a professional, having grown up as a performer singing for bandleaders, to accept extraverted thinking direction even if it wasn’t accompanied by the extraverted feeling she probably preferred. In fact, the absence of immediate extraverted feeling support has a lot to do with how the film plays when we watch it today. It’s an exercise in putting extraverted feeling under restraint, following an extraverted thinking plan, which is what someone whose child has been kidnapped must do, until the longing for reconnection that is naturally stirred in such a situation is finally given a chance to do some good. PTD: Making a movie that way produces a pretty hard internal team process, though, wouldn’t you say? JB: Yes, the way Hitchcock handled Doris Day was quite cruel. But he wanted to show a woman on screen who’d been cruelly treated, and could no longer trust her extraverted feeling. 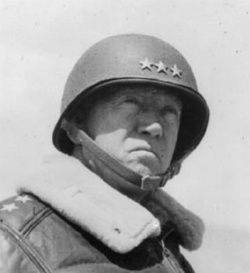 Interestingly, this way of working played reasonably well in ESTJ America in the 1950s, because that was a result-oriented culture that derived from the military team cultures our ‘Greatest Generation’ had developed to win World War II—for instance, the army George Patton led to retake Italy. PTD: With the willingness to hurt someone to get that result? JB: It was not necessarily a pleasure to work under Patton, was it? PTD: Well John, that’s what he’s portrayed as being—a hard-driving, inconsiderate person. But there was another side. I had an opportunity to interview a person who was his jeep driver in World War II. One of the things the driver talked about was that Patton didn’t want anyone in his command ever to see him going to the rear. He always went forward during the day and came back at night, so people would only see him advancing. JB: I can see the introverted sensation in that strategy. Introverted sensation never likes to go backwards when it’s doing a task. Your example puts Patton’s introverted sensation in the auxiliary position, though, because in his case it’s that he didn’t want other people to see him going backwards. He seems to have wanted to take care of them by meeting the expectations that they would always see him as leading them in an advance. PTD: The driver told me something else that I have always just marveled about. He said that Patton demanded that there be two sleeping bags for all the soldiers in his command. Because in the wet, nasty weather, if you had two sleeping bags, one could be drying out while you were using the other one. JB: From the standpoint of team building, the interesting thing is that Patton’s leading by enabling people to function more efficiently at the sensation level is somehow linked to keeping the team’s morale up. It fits with going in the direction of a continuous advance led by him, all the way through the conquest of fascist Italy. I can only assume that along the way, the men in his army were supposed to be taking care of each other in introverted sensation ways. Making each other more comfortable became, under his leadership, part of the group ethos. PTD: Right. Patton promoted this value, but he himself never came across as warm. JB: And I can see why. Extraverted feeling would have probably seemed too shadowy, too likely to undermine the will to advance, because Feeling doesn’t win a war. It’s oddly similar to the way Hitchcock withheld extraverted feeling from Doris Day—and gave her the chance to rise to the occasion of having to do without it. 1Frank Sinatra with The Red Norvo Quintet, Live in Australia, 1959 (recorded at the West Melbourne Stadium, Australia on April 1, 1959). Blue Note CD: 37513. 2 Day related it to A. E. Hotchner in Doris Day: Her Own Story, New York: William Morrow, 1976, from which Donald Spoto quotes at length in his book The Dark Side of Genius: The Life of Alfred Hitchcock, New York: Ballantine Books, 1984 (paper) p. 391. More of what Hitchcock seems to have said is given in Patrick McGilligan, Alfred Hitchcock: A Life in Darkness and Light, New York: Harper Collins, 2003, pp. 519-21.